People will often tell you: “Don’t look back,” especially when you’re about to take a big leap. 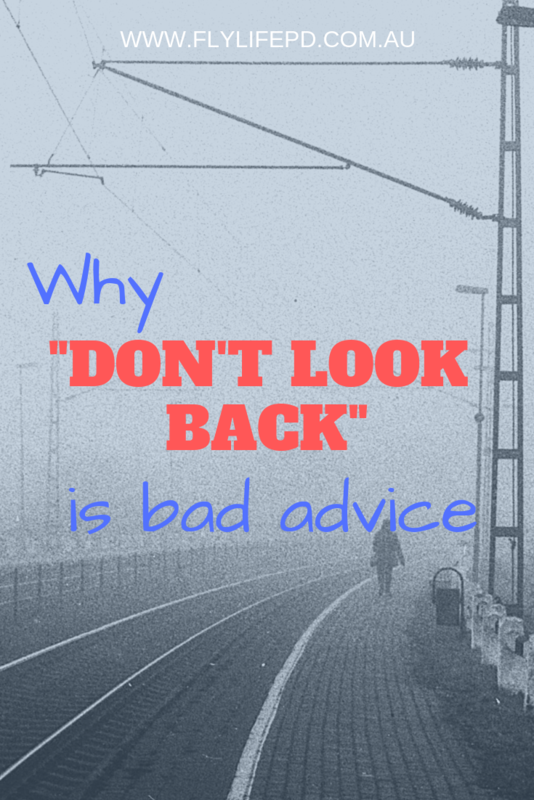 When you’re unsure whether you’ve made the right choice, you’ll hear “Don’t look back”. You’ll even whisper it to yourself when you’re trying not to be scared about the decision you’ve just made. In a previous post I mentioned the time I left my life behind. I drove for a couple of hours, chanting to myself through my sobs: “Don’t look back… don’t look back… don’t look back”. Life just keeps rolling, and we often forget the detail of where we’ve been. Look back to remember where you used to be. Or what you used to be. Or how you used to be. Reflecting on this can highlight how much you’ve changed. Hopefully you’ve changed for the better, and this will be motivation to keep on moving forwards. Or maybe you’ve changed for the worse, and this will prompt you to change the path you’re on. When you realise the progress you’ve already made, you’ll be inspired to continue. You’ve already passed some of the hardest bits. Sure, there might be more bumps ahead. The road might be rougher than you thought it was going to be. But you’ve come this far. Keep going. Whether you’ve left a job, a partner, a habit, or a mindset behind, you left for a reason. Those reasons often become fuzzy over time and we forget how strong they were. We have a vague memory that we weren’t happy, but we forget the detail of how unhappy. Sometimes it’s good to remember. Acknowledge that you started this process of change for a reason. Send your former self some love and compassion. She wasn’t bad or stupid. She was just different back then. 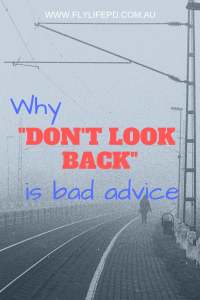 Don’t look back with self-hatred or contempt. This is only about reflecting gently on what has changed. If your eyes are constantly stuck on the rear vision mirror, you’re going to run into something nasty. So don’t get STUCK looking back. Keep moving forward and making progress. After reflecting on the past, envision the future. Are you going the right way? What will it look like when you get there? How will you feel? What can you do today that will propel you forward a little more? Feel free to share your reflections in the comments. I love to hear people’s stories of how far they have come. 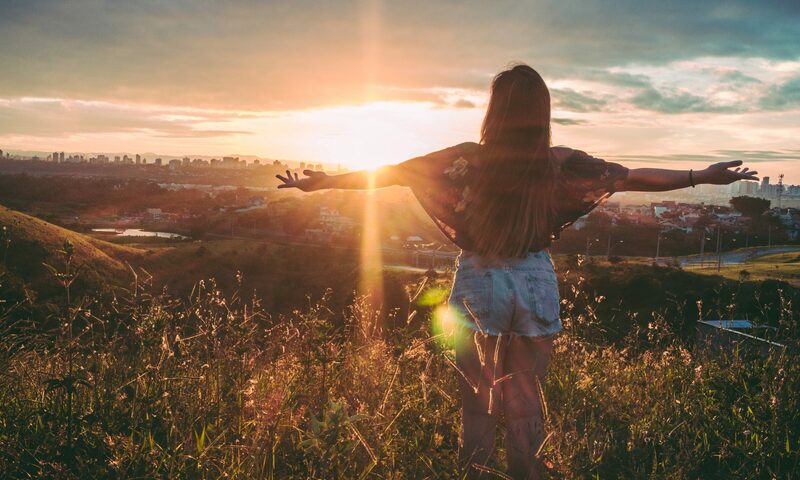 If you do feel stuck where you are, or the past keeps calling you back, consider contacting me for a free initial chat to discuss whether coaching might benefit you. I think it’s super important to remember where you came from and how far you’ve come. When I look back to where I was last year I feel so far ahead and proud of myself! A lot can change in a year, even though it doesn’t feel like it sometimes.